AUGUSTA — A Gardiner man was sentenced Tuesday to nine years in prison for trafficking in cocaine and heroin in Augusta. 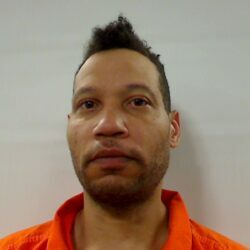 Justice William Stokes, in setting the sentence for Karon E. Baker, 42, on two class A charges of aggravated drug trafficking, said Baker’s crimes are far from victimless, pointing out that last year Maine averaged more than one drug overdose death per day. Baker was arrested March 29, 2018, and found to have hidden in his underwear what was later determined to be 98 grams of cocaine, and about 10 grams of a mixture of heroin and other drugs in small plastic bags, according to an affidavit filed by Augusta police detective Matthew Estes. Class A aggravated drug trafficking charges could be punished by a prison term of four to 30 years. Assistant Attorney General Katie Sibley sought to have Baker sentenced to 12 years in prison, while his attorney, Andrew Edwards, sought a five-year sentence. Stokes said mitigating factors he considered in selecting nine years included that Baker eventually pleaded guilty to his crimes without going to trial, that he had had a tough childhood — losing his father when he was only 1 year old and then moving with his mother from Maine to New York City when he was still a child — before recently returning to Maine. Stokes said Baker had an extensive criminal record from ages 16 to 25, but not much on his record since. Stokes said he’s not sure what Baker had done since he was 25 but noted there was a lack of any evidence Baker did any type of work since he had been in Maine, other than carrying around a large supply of illicit drugs to sell. The police affidavit filed by Estes states Baker has two prior felony convictions for criminal sale of a controlled substance in New York state. When Baker, also known as Cali, was arrested, police seized $14,800 and three pairs of Christian Louboutin sneakers, including one pair described as snakeskin sneakers and another described as spiked. The pricey brand of sneakers sells for $1,000 a pair and more, according to online sales outlets. Baker was indicted June 21, 2018. The indictment states the sneakers should be forfeited by Baker because they were either purchased with the proceeds of the sale of drugs, intended to be furnished in exchange for drugs, or used by Baker when committing crimes. In July 2018, Augusta city councilors voted to allow the Police Department to accept the transfer of some or all of the $14,800 in cash — and the sneakers — for the department’s role in the investigation. Police Chief Jared Mills said the city plans to auction off the fancy sneakers. At the request of Baker’s attorney, Edwards, who noted Baker will be incarcerated for a significant amount of time, Stokes agreed to waive what otherwise would be more than $1,000 in fines that would be due upon his release from prison. He also declined to sentence Baker to any probation, which could have required him to stay in Maine after his release, or suspend any of his prison sentence.